Timing Belts. You may also like. 55214013 COVER PUNTURIE COVER LANCIA MUSA FACELIFT < span class = notranslate ' > 57KW 1.4 5 p B 5 m (2008) 55209166 PARTS USED. MPN 55214013. Being the parts used may have slight signs of wear and tear. TIMING BELT fits LANCIA MUSA MPV - 04>12 - FE28663. FIAT DOBLO PUNTO PANDA SEICENTO 1.1 1.2 8V HEAD BOLTS. Oil filters are another important group of products for WIX. Lucas Oxygen Sensor. Spark Plug Tools. We often do not realise how important the oil filter in the car is and we often undermine its role. FIAT GRANDE PUNTO (199_) 1.4 A7.000 / A1.000. FIAT GRANDE PUNTO (199_) 1.4 LPG A1.000. FIAT GRANDE PUNTO (199_) 1.4 Natural Power A1.000. FIAT GRANDE PUNTO (199_) 1.2 A4.000. FIAT PUNTO (188_) 1.2 60 (188.030. 050. 130. 150. 230. 250) A4.000. And not just as a supplier. As a manufacturer as well as a supplier, we are using the experience we have acquired over many years and state-of-the-art production technologies, and are continually investing in the expansion of our own production. Manufacture Number: KP15627XS. FORD KA - LANCIA -. -5627xs, Gates Timing Belt PowerGrip FIAT: 71771599. FIAT: 71776007. -WP0069, Gates Water Pump -T43156, Gates Tensioner Pulley. Kit Component. OIL FILTER BOWL CAP COVER / OIL FILTER HOUSING TOP COVER CAP WITH GASKET. OIL FILTER TOP HOUSING CAP 1303477. OIL FILTER BOWLFORD FOCUS 2.0 TDCI. OIL FILTER BOWLFORD GALAXY2.0 TDCI. OIL FILTER BOWLFORD SMAX2.0 TDCI. Brembo HP2000 Brake Pads It is a product for drivers with sporting ambitions and, more generally, for those who want to upgrade their vehicles as possible. and they have been designed for excellent performance without sacrificing creature comforts level. Part Number K015646XS. GATES TIMING BELT KIT FOR LANCIA MUSA 1.6 2008-2012. Model Musa JTD Multijet. Make LANCIA. Our highly engineered products are critical components used in diverse industrial and automotive applications where the cost of failure is very high relative to the cost of our products. Size - 18x26x1.5 (mm). 5 x high quality copper sump washers. 1.9 CDTi 88 120 1910 08.2004 ->. 1.9 CDTi 110 150 1910 08.2004 ->. 1.9 CDTI 88 120 1910 01.2004 ->. 1.9 CDTI 110 150 1910 01.2004 ->. 1.9 CDTi 88 120 1910 03.2005 ->. 1.9 CDTi 110 150 1910 02.2005 ->. When the overall system of “engine lubrication and cooling” is considered, many other functions can be integrated along with the filtration and cooling of the lubricating oil. Mahle filters for passenger cars PDF (8MB). (B RAND NEW BOXED : TIMING CHAIN KIT. 1) TIMING CHAIN. 2) TIMING CHAIN TENSIONER. KIT CONTAINS You are obliged to take reasonable care of the item. will work to resolve any issues and assist in anyway that we can. LANCIA MUSA 350 1.3D Timing Chain Kit 04 to 12 INA. LANCIA MUSA (350_) 1.3 D Multijet MPV Diesel 10/2004 09/2012 FWD 16 70 51. LANCIA MUSA (350_) 1.3 D Multijet MPV Diesel 03/2009 09/2012 FWD 16 95 70. VAUXHALL/OPEL ENGINE COVER BUSHING RETAINER. Engines: 2.0 turbo petrol 2.0 CDTI. 24 MONTHS WARRANTY ! Engines:2.0 CDTI. ZAFIRA C 2011->. Engines:1.9 CDTI. ZAFIRA B 2005->. Engines:1.7 DI/CDTI,2.0 DTI. Driven Unit(s): Camshaft. Part Manufacturer: Gates. Gates Reference Number: GAT5627XS. Contents: 1x Timing Belt. Belt Width (mm): 22. OE Reference Number Number of Teeth: 129. ENGINE SIZE. ENGINE CODE. Oil Pan Material: Steel. 350 A1.000. 11.10 - 12.11. 02.06 - 12.11. 176 B9.000. 04.97 - 09.03. FIAT 55207208. FIAT 71751128. FIAT 55214974. FIAT 71751114. FIAT 55206816. FIAT 71751127. Engine oil lubricates all the moving and functional parts in the engine. They contaminate the oil and make it more viscous. VAUXHALL 9551489. Engine oil lubricates all the moving and functional parts in the engine. They contaminate the oil and make it more viscous. As a result, engine performance is impaired and fuel consumption increases. Install the original. Install Gates. GATES's range of products include: Timing Belts and Timing Belt Kits, Fan Belts, Poly Rib Belts, Tensioner and Dampers. GATES POWER GRIP TIMING BELT KIT AND WATER PUMPFIAT PUNTO DOBLO PANDA 1.2. FIAT DOBLOOIL FILTER HOUSING CAP 2.0 D MULTIJET 2010-2016. FIAT 500L OIL FILTER HOUSING CAP 2013-2017. FIAT PUNTO EVO OIL FILTER HOUSING CAP 2009-2012. OIL FILTER HOUSING CAP. LANCIA MUSA OIL FILTER HOUSING CAP. (LANCIA MUSA (350_) 1.4 LPG MPV Petrol/Petroleum Gas (LPG) 11/2010 09/2012 FWD 8 78 57. LANCIA MUSA (350_) 1.4 MPV Petrol 09/2005 09/2012 FWD 8 78 57. Function Timing Belt Set. AXB1B, 955. AXU1A) Hatchback Petrol 03/2011 on FWD 8 78 57. 500 1.3 Multijet 75 312 (2008-) 01/08-08/10. Doblo 1.3 Multijet 119 (2004-2010) 01/06-09/10. Doblo 1.3 Multijet 119 (2004-2011) 01/06-09/10. Doblo 1.3 Multijet Cargo 223 (2004-2010) 05/04-12/05. Doblo 1.3 Multijet Work Up 263 (2010-2015) 07/11-09/15. CITROEN - NEMO. HERE YOU ARE BUYING X16 ROCKER ARMS. SUZUKI - IGNIS SWIFT SPLASH WAGON R . However delays are occasionally inevitable due to unforeseen circumstances. TO FIT THE FOLLOWING VEHICLES PEUGEOT - BIPPER. Bosch oil filters. The Green Spark Plug. The oil also serves to dissipate heat, seal and protect against corrosion. Filters > Oil Filters. Impurities in engine oil cause engine components to wear prematurely. For Vauxhall Agila A (2000-2008) Models For Z13DT Diesel Engines. For Vauxhall Tigra B (2004 Onwards) Z13DT Diesel Engines. Autovaux was established in 2001 and is recognised as The Number 1 Supplier for Genuine Vauxhall spares and O.E Quality parts for all car manufacturers with Vauxhall trained staff and the most up to date parts software available. Cross Reference71000800,NF888. Our cylinder head bolt range is an essential addition to the gasket range, as 99% of all modern engines are fitted with “stretch” bolts which must be replaced when fitting a new head gasket. 500 1.3 Multijet 75 312 (2008-) 01/08-08/10. Panda Cross 1.3 Multijet 169 (2003-2012) 08/08-03/12. Punto 1.3 Multijet 188 (2003-2007) 08/03-05/06. Doblo 1.3 Multijet 119 (2004-2010) 01/06-09/10. Doblo 1.3 Multijet 119 (2004-2011) 01/06-09/10. Agila 1.3 CDTi 75 (2008-) 03/08-03/11. Agila 1.3 CDTi 75 (2008-2014) 03/08-03/11. Astra H 1.3 CDTi 90 MK 5 (2004-2013) 10/06-12/11. Astra H 1.3 CDTi MK 5 (2004-2013) 05/05-03/11. Astra H 1.3 CDTi MK 5 (2004-2013) 10/05-03/11. LANCIA MUSA 350 1.4 Exhaust Valve 04 to 12 843A1.000 BGA. LANCIA MUSA (350_) 1.4 MPV Petrol 10/2004 09/2012 FWD 16 95 70. LANCIA Y (840_) 1.2 16V (840AG1A) Hatchback Petrol 10/2000 09/2003 FWD 16 80 59. Valve type : Solenoid Valve. FIAT 0000055209166. FORD 1544172. FORD 9S51-12K073-AA. Number of Poles : 2. 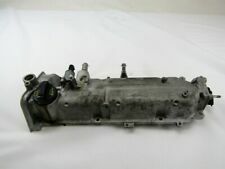 LANCIA MUSA 350 1.4 Inlet Valve 05 to 12 350A1.000 BGA. LANCIA MUSA (350_) 1.4 MPV Petrol 09/2005 09/2012 FWD 8 78 57. LANCIA MUSA (350_) 1.4 LPG MPV Petrol/Petroleum Gas (LPG) 11/2010 09/2012 FWD 8 78 57. CAMSHAFT DEPHASER SOLENOID VALVE. FIAT 55209167. FIAT 55209166. FIAT QUBO (225_) 1.4 10.09 - 57 78 1368 MPV. FIAT QUBO (225_) 1.4 Natural Power 10.09 - 57 78 1368 MPV.